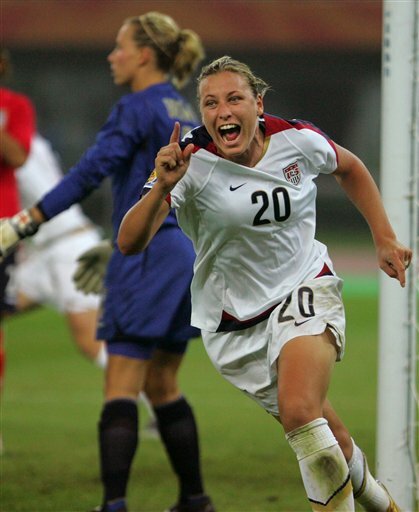 Abby was back on the practice field with the US Women's National Team on Tuesday. Yet again, Abby met a goal. This time it was getting back on the field within six months of her broken leg. - Dema to LA is official. - Devo is all over Frankie Sanfilippo heading further south to the Charleston Battery. How long before he's playing for Puerto Rico? - Ansu Toure has landed in Vancouver. - Tony Sanneh is training with the LA Galaxy per SBI.net. - Ezra Hendrickson has joined Sigi Scmid's coaching staff in Seattle after winning MLS Cup with Schmid and the Crew in 2008. - Dax McCarty appears headed to San Jose. - The Red Bulls are looking at a bunch of rookie free agents. - Taylor Graham has signed with Seattle Sounders FC after spending last season with the Seattle Sounders of the USL 1st Division. - Ben Olsen is back on the DC United practice field and Steven Goff talks to him.